The Honda Accord has been a popular seller in just about every market it’s sold in, and things are no different Stateside. It’s Honda’s biggest passenger car if you discount the SUV and CUV offerings they have, and that means its perfect for families, big or small. The car is classed as a midsize sedan that comes in at a pretty competitive price point, and when compared to segment competitors the Honda Accord starts to look like a rather attractive deal and a good car to own. It’s not that the car is a lot better than any of the competitors, but it’s also not any worse than other cars in the segment, and that equates to a long and hard decision making process for prospective buyers. 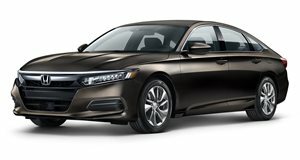 The Japanese automaker is also known for supplying cars with brilliant reliability, which is why many Honda owners have been through a few different models spanning a few years and the latest Honda Accord should be good enough to keep these fans in the Honda family, and may be good enough to sway buyers of the competition to at least take a much closer look at one before making a new purchase. The Honda Accord is a great all-rounder that will be up to the task of the needs of modern families, both young and old. While the amount of buttons has decreased in most places, the steering wheel sees the addition of more buttons. Japanese cars, including Honda, have always had interiors that look quite busy and the Accord had its fair share of excessive buttons to control functions. That’s been changed in this version of the Honda Accord though; new technologies have meant that many functions that required buttons can now be accessed via the centrally located, high-resolution screen. When optioned, there’s a second high-resolution screen that serves as the base for the infotainment system. It has another function too, to display cars that sneak up in the blind spot when they get caught on the camera mounted to the passenger side wing mirror. While the touch-operated screen does do a good job of consolidating functions, it does take a while to get used to. Some time playing with the controls is needed to get the hang of things. When it’s time to drive, the Honda Accord is fired to life with a pushbutton start. The dash layout and ergonomics is good, and everything is quite dark with brushed aluminum edging in places and to break the colors you’ll find dark wood inserts. While the amount of buttons has decreased in most places, the steering wheel sees the addition of more buttons, but once you learn what does what, they’re easy to use and in reach of normal length thumbs. Trim option dependent, you’ll also find good quality leather splashed around, including on the seats. If you can’t find a comfortable driving position in the Accord then you won’t get one in any other car either. Honda did well with the seats, they’re sporty in design and while most automakers offer seating that’s eight-way power adjustable, Honda went all out by making the seats ten-way power adjustable with a memory function for the driver. If you can’t find a comfortable driving position in the Accord then you won’t get one in any other car either. Sitting in the cockpit is comfortable with plenty space even if the driver has the height to captain a basketball team. Rear space is just as good and the seats can be folded flat to open up the boot space, although we don’t see that happening too often as the Honda Accord boot has ample boot space at 15,8 cubic feet – enough to add in a few sets of golf clubs or luggage for a family of four is packed properly. Getting bigger objects in or out can be a pain because of the load lip, but the car isn’t meant to be a transporter in that regard. As for options, they’re kept to a minimum, which means you get a lot of kit as standard. Not all models can be had with all the options, presumably Honda’s way of keeping a divide between the models and justifying the pricing difference between them. Some of the tech options available includes thing like lane keeping assist, adaptive cruise control, some smaller trim pieces, and on some models the choice of black or ivory leather. Starting at the bottom of the seven-car range with the LX, there’s the option of a solid-feeling notchy six-speed manual transmission. The drive in the Honda Accord depends largely on what engine and transmission is in the car, well to a degree. Starting at the bottom of the seven-car range with the LX, there’s the option of a solid-feeling notchy six-speed manual transmission that slots perfectly into place with a nice, short throw. The same manual is also found in the LX, Sport, Sport Special Edition and EX Accord, all of which feature the 2.4-liter four-cylinder gasoline powerplant. When you step it up to the EX-L, the EX-L V6 and the Touring models, manual is no longer an option and that leaves you with Honda’s continually variable transmission. While Honda’s take on this transmission is very good, probably one of the best in this segment, we’d still much prefer manual. The automatic options do have paddles behind the steering wheel to give a sense of manual control over the drive. While a continuously variable transmission, or CVT, doesn’t technically have any gears, the programming of the control unit creates shift points in the rev range that feel like physical gears, and so you can change up or down as much as the engine revs allow and it feels quite similar to a conventional, geared automatic transmission. This function would probably only be used the first few times the Accord is driven, or to show off the feature to someone, and from then on it would just be an ornament of sorts. With a midsize sedan, the dimensions can make parking in some spaces a little harder, but the Honda Accord models that feature the park-assist tech will have no problems, the system is easy to use and works well. The Honda Accord is comfortable, spacious and offers great visibility all round. The drive is smooth with either transmission or engine in play though, Honda have done a lot of work to refine the Accord to make sure it stands out from the rest of the midsize sedans in the segment. The car is also the automaker’s only offering that competes with some of the well-known German sedans so there was no choice but to make it look, feel and drive like a premium German sedan. While driving, in the first few months anyway, you may get annoyed with the touchscreen and its operation, but once you’ve got the functions memorized this problem of a few overly complicated ways of getting to certain settings will likely fall away. If optioned, the Honda Accord can be had with adaptive cruise control. The cruise control works well enough, but if a car slots in between you and the car ahead and the system has to brake, getting back up to speed can feel a little sluggish, which may be due to the combined with the delivery of the power. As for the rest of it, the Honda Accord is comfortable, spacious and offers great visibility all round. The handling of the midsize sedan is good and the suspension is soft enough to soak up the bumps and corrugations with ease, but as speed and forces on come in to play on bends, it stiffens up enough to provide a stable drive, all the while steering and braking feedback is good. The German segment rivals offer up a similar drive and feel, although on the higher spec models the difference will be noticeable, but so is the price difference. As you’d expect, the car at the bottom of the ladder, the LX, receives the least power from the 2.4-liter four-cylinder gasoline engine. There are seven models in the new Accord range and they all have similar engine and transmission combinations. As you’d expect, the car at the bottom of the ladder, the LX, receives the least power from the 2.4-liter four-cylinder gasoline engine at 185 horsepower, and it’s available with either a six-speed manual transmission or a continuously variable automatic transmission. Actually, all the four cylinder models can be had with either transmission, but the six-cylinder models only have the CVT available. The LX Sport has more power, but at just four horsepower more that extra power may not even be perceptible on a drive. The same setup is found in the EX, the EX-L and the Sport Special Edition, but as the name suggests on this model there are a few aesthetic extras that make it quite possibly the pick of the range. The EX-L V6 and the Touring models make use of the bigger 3.5-liter six-cylinder gasoline that has 278 horsepower on tap. Both are really good and provide good response and power delivery, the larger capacity of the engines means the torque comes in from nice and low in the rev range and carries on throughout. Normally aspirated engines from Honda always feel like they can rev forever, and even though the Honda Accord isn’t made to be sporty, foot-flat through the rev range does feel good and makes the car feel more than fast enough. The Honda Accord with the 2.4-liter engine and CVT is rated at 27/37 mpg and 31 mpg on the combined cycle. Honda has set up the cars to deliver the right power at the right time, the way the CVT uses the power is also good, annoyingly so because we’d prefer not to like these kinds of transmissions but Honda have the recipe down perfectly. It’s hard to imagine that a CVT transmission can offer up a sporty drive as that goes against the point of it, but it really does a good job of making the car feel quick and responsive, and the aforementioned way you can select “gears” helps this feeling along. The Honda Accord with the 2.4-liter engine and CVT is rated at 27/37 mpg and 31 mpg on the combined cycle while the manual version is a little thirstier at 24/34 mpg, with 27 mpg on the combined cycle. The six-cylinder engine is bigger, but fuel usage is just as good with it returning figures of 21/34 mpg (26 mpg combined). This is thanks to Honda’s variable cylinder management that shuts down half of the cylinders during highway cruising. As said, we’d prefer a manual option for the bigger engine V6 model, but seeing as that’s not an option our pick remains the highest specification model possible powered by the four-cylinder engine mated to the manual transmission. The biggest option that can be ticked for the lower models is when choosing between the manual and the continuously variable transmission. The Honda Accord range starts off at $22,335 for the base model, and the seventh model at the top of the ladder comes in at $34,830. As said, the different trim levels are pretty much what you get with only small things added in as options. The biggest option that can be ticked for the lower models is when choosing between the manual and the continuously variable transmission. This is why the Sport Special Edition makes for an attractive purchase; over and above all the features of the Sport model it comes with leather trimmed seats with red stitching, heated front seats and special edition badging – all for $25,415. The competition is tight in this segment as you can expect, automakers like Ford, Chevrolet and Volkswagen all have midsize sedans on offer and they have a similar price point. To make an informed choice you really do need to take a look at them all, unless you really don’t have an affinity for certain brands. Even on the entry model, the spec list is good and makes the price look even more attractive, you’re looking at features like Vehicle Stability Assist, Traction Control, Anti-Lock Braking System, Electronic Brake Distribution, Brake Assist, a Multi-Angle Rear-view Camera with Dynamic Guidelines and a Tire Pressure Monitoring System. Optional tech includes a Collision Mitigation Braking System and a Road Departure Mitigation System, which while not necessary to have will improve the car’s safety as well as the resale value if that’s a concern when looking at a new car to purchase. The Honda Accord is as safe as you can get thanks to all the tech and innovation packed inside and being named a Top Safety Pick for 2017 by the Insurance Institute for Highway Safety thanks to the good ratings earned during the rigorous testing process backs this up. Here we see the bottom of the range S start with an MSRP of $22,120 and at the opposite end is the Energi Platinum at $39,120. There’s plenty competition in the midsize sedan segment, and one of the two American offerings, the Chevrolet Malibu starts off with an ever so slightly higher MSRP of $22,555 for the entry-level L model and that rises to the range-topping Premier coming in at $31,850 – all ex-options. The second comes from Ford in the form of its Fusion with a tech-packed twelve-model line-up. Here we see the bottom of the range S start with an MSRP of $22,120 and at the opposite end is the Energi Platinum at $39,120. Volkswagen’s Passat, a seven-model range, start at an equally similar MSRP of $22,440 with the most expensive offering costing $33,995. As mentioned, we like the Honda Sport Special Edition, and from Volkswagen the direct competitor would be the Passat R-Line at a slightly $23,975. 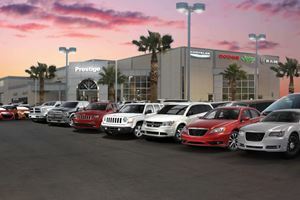 Choices here can be made according to price, specification or preference of automaker, but as mentioned the choice may not be that easy to make for a prospective buyer thanks to the cars being so similar. For those already in the Honda fold, it will be an easy choice to stay there, and for those without a history of owning Honda models in the past, the Honda Accord is a good way to become part of the family. There really is so much on offer if you’re in the market for a good midsize sedan, it’s quite east to get all befuddled, and we don’t blame you. If you have a budget of around $25,000 that makes it even worse because you’re able to bypass the entry-level models, which aren’t bad, but you can’t quite get to the top of the line models either. This is why we singled out the Honda Accord Sport Special Edition as the best choice from this automaker; spec for spec and feature for feature it provides you with one of the best sedans in the segment right now. If you do go the Honda way you can rest assured that you made a good choice. While many segment rivals also boast similar tech, similar power and similar pricing, the Honda Accord simply must be afforded a closer look and a test drive before a decision to purchase is made. The very definition of a citizen's arrest. Around two-thirds of the effected vehicles still haven't been fixed.